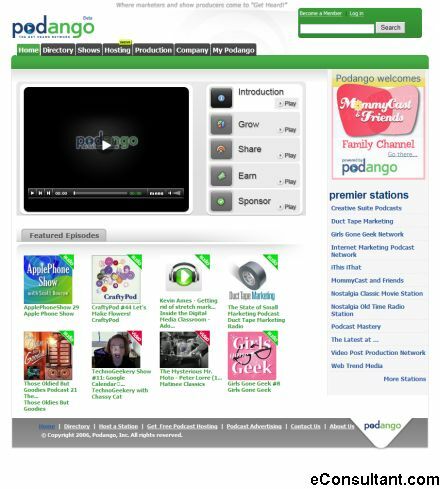 Description : Podango enables podcast stations that deliver the best podcasts on niche areas of interest. The podcasts are combined into stations by passionate, independent Station Directors who recruit leading podcasters in their area of expertise. Podango’s social interaction tools enable rich conversations around the subjects of the podcasts within the listener communities they serve.